A man who only identified himself as a guest of former Klansman and current U.S. Senate candidate David Duke, center, talks to him as Louisiana Public Service Commissioner Foster Campbell, left, and attorney Carolyn Fayard, take their places before a debate for Louisiana candidates for the U.S. Senate, at Dillard University in New Orleans, Wednesday, Nov. 2, 2016. White supremacist David Duke's appearance in Louisiana's final U.S. Senate debate ahead of next week's election derailed much of the event Wednesday, with opponents trashing him, the debate moderator struggling to keep him within time limits and angry protesters chanting outside the building. The debate took place at historically black Dillard University. Duke's presence there sparked protests by students and others angry at his presence, their inability to get into the debate or both. The 60 to 70 protesters were raucous at times, with campus police twice resorting to pepper spray to disperse demonstrators trying to force their way into the building as the debate got underway. Police also forcibly separated a group that linked arms at a gate to the campus so a police unit believed to be carrying Duke could exit. At least one person was detained during the debate and police were seen escorting several away from one of the campus gates but it was unclear if anyone was charged. 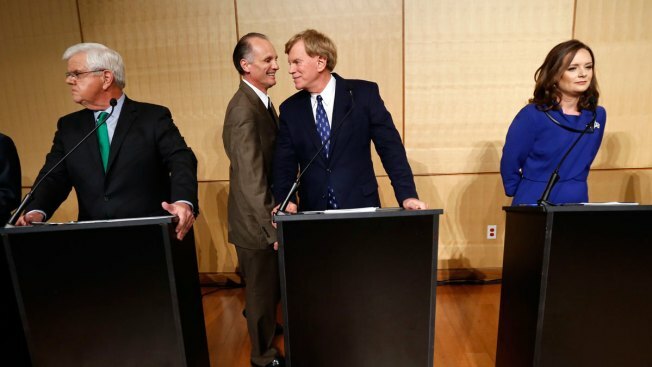 Inside, six candidates were on the debate stage, but much of the focus was squarely on the former Ku Klux Klan leader even though he's lagged in the polls and hasn't made much of a splash in state politics since making a gubernatorial runoff 25 years ago. Democratic lawyer Caroline Fayard called Duke a "snake." Republican state Treasurer John Kennedy called Duke a liar. Democratic Public Service Commissioner Foster Campbell said Fayard has been lying about him as she tried to connect him to Duke. Campbell said he has nothing in common with Duke except both men were "breathing." Republican U.S. Reps. Charles Boustany and John Fleming largely tried to ignore Duke as they sought to distinguish themselves from the major competitors, but the debate turned time and again to Duke, who narrowly reached the 5 percent polling benchmark set by Raycom Media for participation in the debate broadcast across most of Louisiana. Duke suggested Kennedy, the race's front-runner, tried to raise taxes on homeowners and that all five of his competitors on the stage were "beholden to big money." In response, Kennedy cited Duke's prison number. Duke spent a year in federal prison after pleading guilty in 2002 to bilking his supporters and cheating on his taxes. Duke claimed he was "targeted by the government." When moderator John Snell of WVUE-TV interrupted Duke to explain he pleaded guilty to the crime, Duke yelled: "You're a typical media hack!" 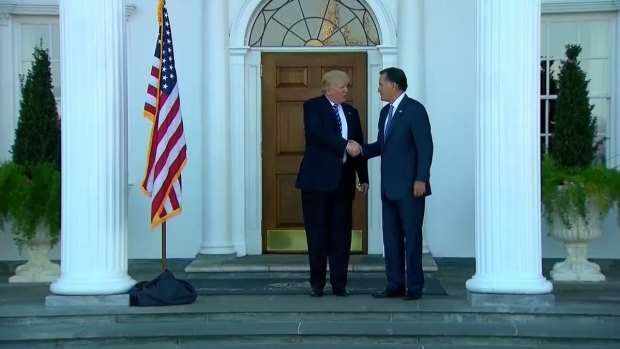 President-elect Trump interviewed more than a dozen candidates for his administration at his New Jersey golf club over the weekend, including Mitt Romney, Rudy Guliani, Chris Christie and Kansas secretary of state Kris Kobach, who has been tough on immigration, and others. Asked about Duke's comments referring to "CNN Jews" being against Donald Trump, the candidate responded with an anti-Semitic canard. “There is a problem in America with a very strong, powerful, tribal group that dominates our media and dominates our international banking,” Duke said. He added that he wasn't "opposed to all Jews." Two dozen people are vying for Republican David Vitter's seat. He isn't seeking re-election. 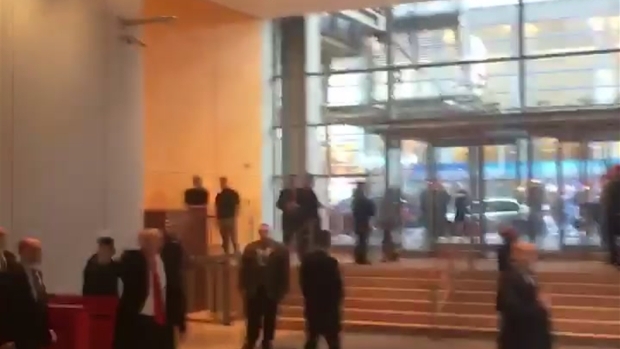 Reporters were not allowed inside the auditorium while the debate was being recorded and instead had to watch it on television in a separate room.